Bambrella Hurricane 3.4m Square Spuncrylic Parasol: This parasol has been tested in winds up to 90pmh so would be ideal for high end or commercial settings. The frame will not rust over time and the hub and runner are marine grade nylon for a long lasting durable finish. The parasol is easy and light to open and close as it features a double rope and pulley system. 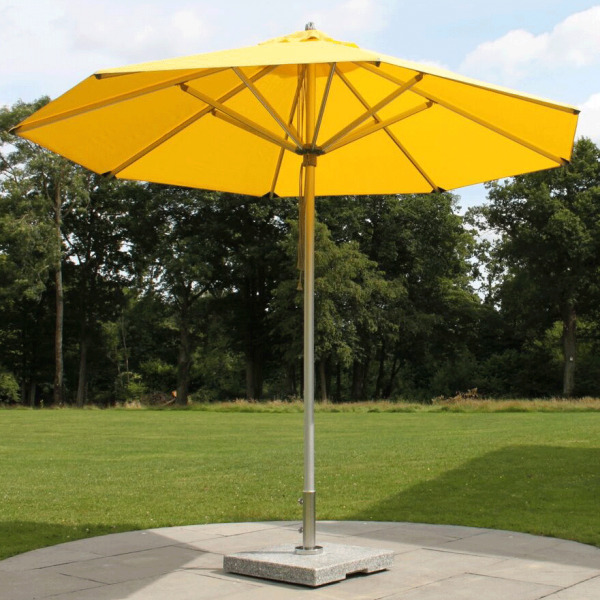 This stunning bambrella aluminium parasol is available in a choice of 10 stunning coloured Spuncrylic covers so you can really brighten up your outdoor space with a splash of colour. There is a 3 year guarantee included for complete peace of mind.